To close our eyes and reminisce awhile. I am honoured to be Chair of our final high school reunion. What a great opportunity to get together with our school friends and teachers. It is with mixed feelings that we will all share in this reunion but let's make it one to remember forever. We hope to keep this school site up indefinitely. That way, with a click of your mouse we can all stay in touch. Don't be shy and share some of your memories with all of us. After graduating, I went to hairdressing school in Brantford. I married my best friend in 1967, we purchased the home tobacco farm from his parents and grew the crop until 2004. I worked for the Township of Norfolk as secretary for 4 years. I then took the Real Estate course and started my career of 13 years with DeGeyter R.E. in Delhi. I enjoyed it very much. Then, along came my new grandchildren and I decided I'd had enough working weekends, open houses, running back and forth to Delhi every day. I needed to spend more time with them. Once they were in JK, I was offered a position with the Tillsonburg District Real Estate Board. My dream job! Part time, sometimes more depending on the EO's schedule. When will I call it quits? I never think that far ahead. One day at a time, that's my motto. Yes I have an Uncle and cousin. I'm officially retired (not tired yet), and am volunteering at the school helping with reading and math. Go out west to Vancouver. I love people and can talk to anyone. I am NOT good saying a speech in front of a crowd. Just look at the end of our school video). Absolutely nothing. They were the best years of my youth. Caesar's, Strawberry and and Banana Daquiris. Especially on our trips to the islands. Wayne Gretzky and his dad Walter. There are lots of interesting people I've met and my Babchi who told me all about her life in Poland. Chairing our final reunion was definitely cool. Climbed to the top of the Sand Hills for the past few years with my grandkids. I do believe I'll take the easy way up this year. The thing is HIGH! Don't judge anyone by the way they look. The majority of the time when you get to know them, they are genuine and caring. Family always come first above anything. Many times and it makes you realize how blessed you are that you have so much while others have so little. Uh, that would be a Yes. Hello!! I'm always lost. Thank God for GPS. Yes, In Europe, Mexico and the Bahamas. Many, many times. My family said that if they still had criers at funerals like the old days, I would be their #1 favorite, lol. Went on the big roller coaster at Wonderland. Didn't you hear me scream? Many times cause I laugh a lot. A couple of times. Do they still use mistletoe? My husband in Mexico. They have the most beautiful sunrises and sunsets there. I have 4 grandkids. Who doesn't love blowing bubbles? Diane Tokarz Michiels added a comment on her Profile. New comment added. Diane Tokarz Michiels posted a message. 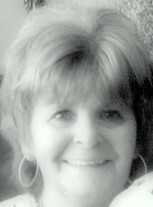 Diane Tokarz Michiels updated her profile. View. Diane Tokarz Michiels added a comment on her Profile. Diane Tokarz Michiels has a birthday today. Philip Klemka posted a message on Diane Tokarz's Profile. Hey Diane, you are a wonderful person. Keeping the memories alive!! Wonderful. I am celebrating 40 years of my medical class of '77 end of this month. Diane Tokarz Michiels changed her "Now" picture. Happy Birthday Elizabeth. You live so close to me. I'm just a mile north of the Sand Hills. Hope you have a wonderful birthday!! Happy Birthday Joyce! Have a wonderful celebration and wishing you many, many more! Hi all NDHS Final Reunion Alumni! I've launched our website on Facebook . Nothing has changed and your profile is private just as on our website. User name and password is the same. You don't have to worry. Nobody other than those that are registered on our website can get your e-mail or see any of your information. Please pass this along to everyone. I will be working to inform as many of you as I can. Of course those that don't use Facebook will not be able to see anything, but they still have the website. We are no longer paying, so you will see some advertising. A small price to pay. If you have any thoughts, just send me an e-mail or you can post it right here. Enjoy everyone!! Diane Tokarz Michiels joined via Class Connection Facebook app. Fred Stubbs posted a message on Diane Tokarz's Profile. Although you recently advised the NDHS website is shutting down I want to take this opportunity to publicly thank you for your past efforts. Diane Tokarz Michiels added a photo to her profile gallery. Diane Tokarz Michiels added a photo to her profile gallery. New comment added.